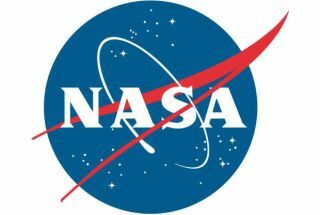 NASA's response to a seven-year-old boy who wants to be an astronaut created quite a stir on the Internet Monday (July 8), surprising many people who apparently equate mailing letters to government agencies with chucking them in the nearest wastebasket. The British boy, whose name is Dexter, mailed NASA a handwritten letter recently asking for advice about becoming an astronaut. "I heard that you are sending two people to Mars and I would like to come but I’m 7 so I can't," Dexter wrote in the note, which includes a drawing of two people in a space capsule, presumably on their way to or from the Red Planet. NASA's Office of Communications replied with a letter encouraging Dexter to work hard in school and keep "reaching for the stars." "Just think — in a few years, you could be one of the pioneers that may help lead the world's activities for better understanding of our Earth and for exploring space," the letter states. The space agency also sent Dexter some stickers and posters, the Huffington Post reported. Dexter was thrilled, according to his mother, whom HuffPo identifies as Katrina Anderson. Writing back to kids with big space dreams is all in a day's work, NASA officials said. "We try to answer as many Q's as possible on social media. For those who prefer postal mail, we respond there, too," officials said Monday via the space agency's Twitter account, @NASA, which has more than 4.3 million followers.